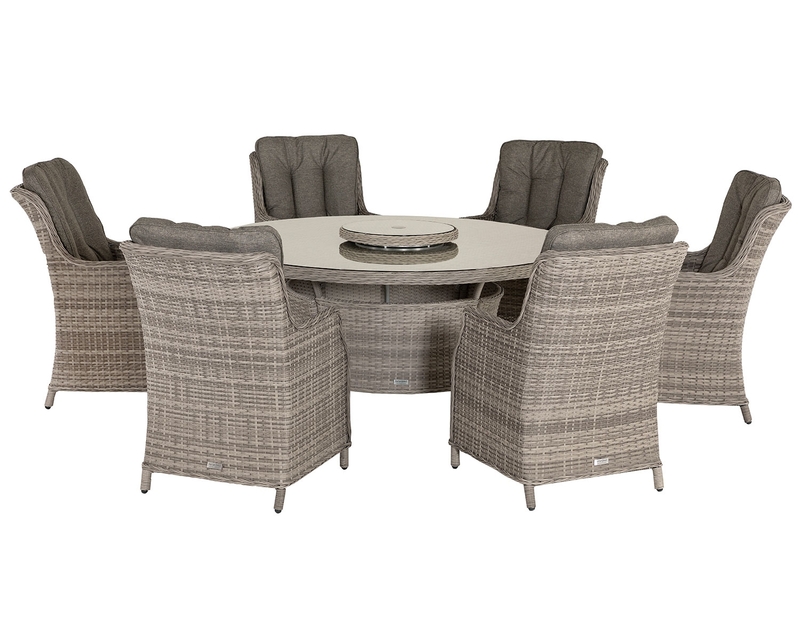 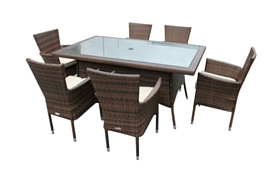 Whether you love to entertain friends or whether you want to gather the whole family together during the summer months, this beautiful dining set from the Oxford range is perfect for either indoor or outdoor dining. 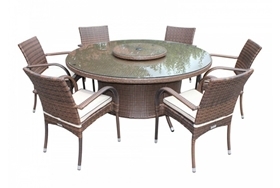 Seating 8 in complete comfort, the round table allows for easy conversation while the lazy Susan ensures that it couldn't be easier to share food and drinks. 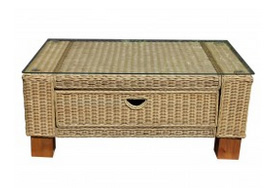 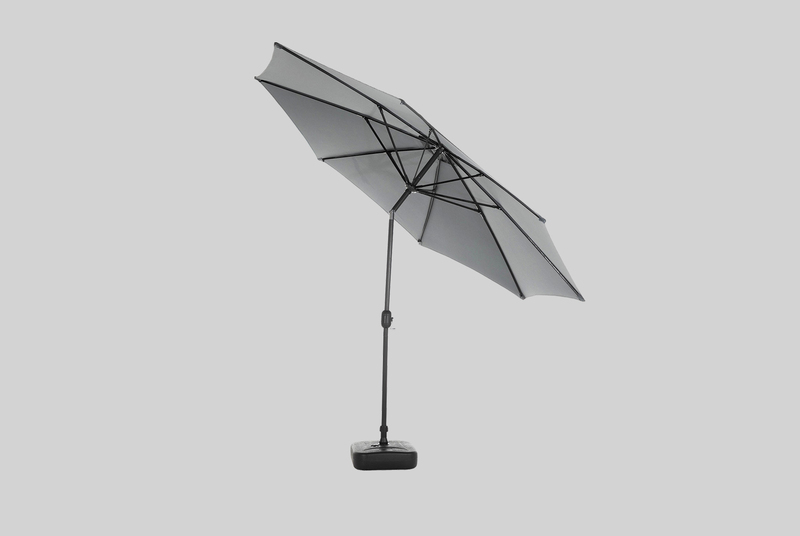 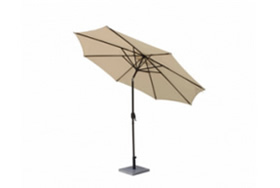 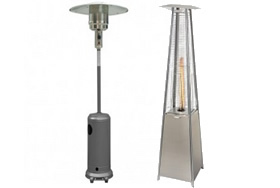 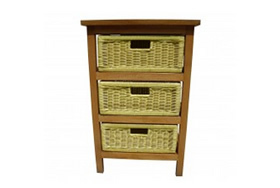 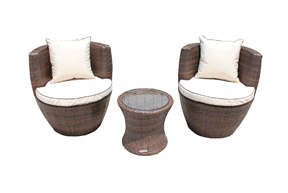 Innovatively designed by our in-house team this is an attractive and elegant addition to your garden or conservatory. 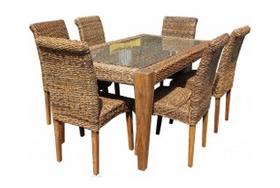 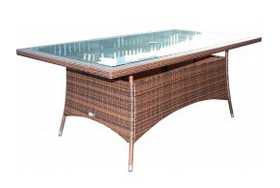 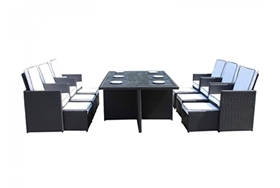 This dining table, benches and chairs set has been specially designed to be long lasting and durable. 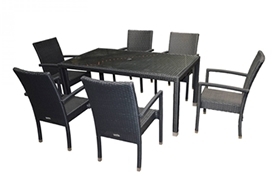 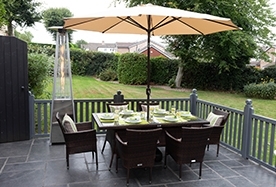 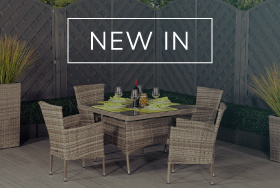 Made from a strong resin weave which is easy to care for, yet incredibly attractive to look at, this set features a strong powder coated aluminium frame which means that it resists rust effectively, even when stored outside in all weathers. 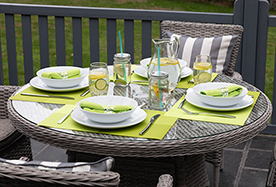 The resin weave is also UV resistant and resistant to fading even in strong sunlight, so it will continue to look perfect even after the longest, hottest summer days. 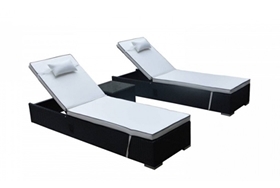 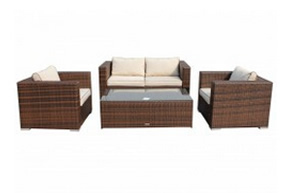 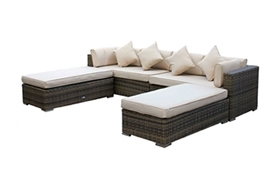 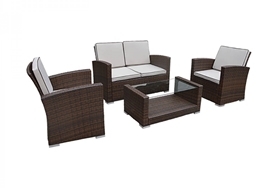 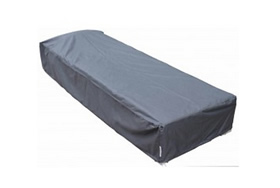 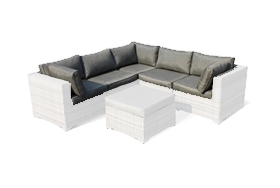 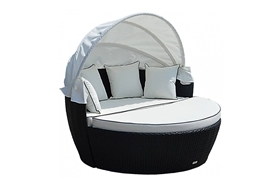 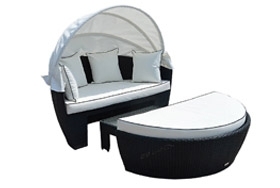 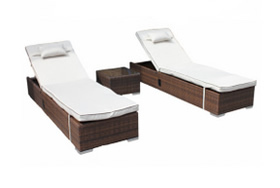 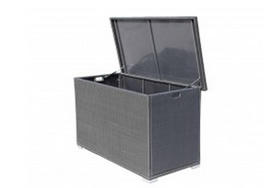 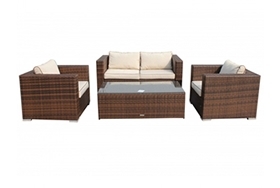 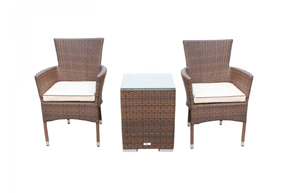 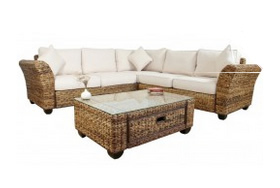 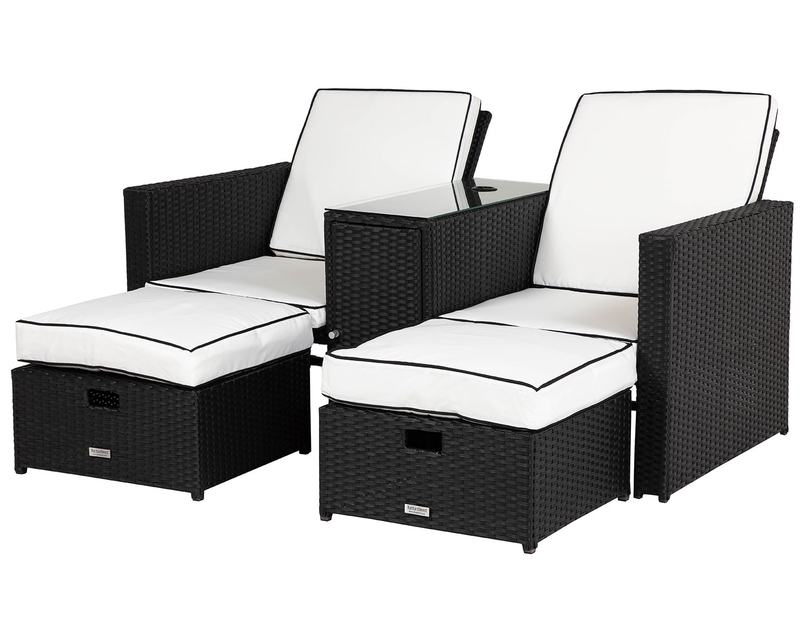 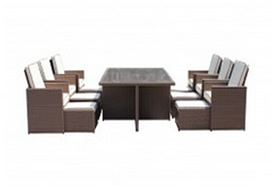 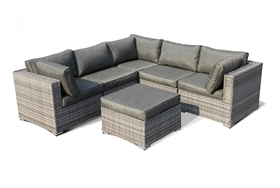 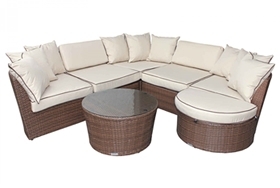 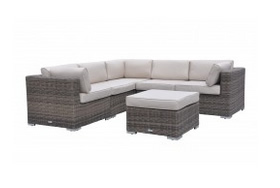 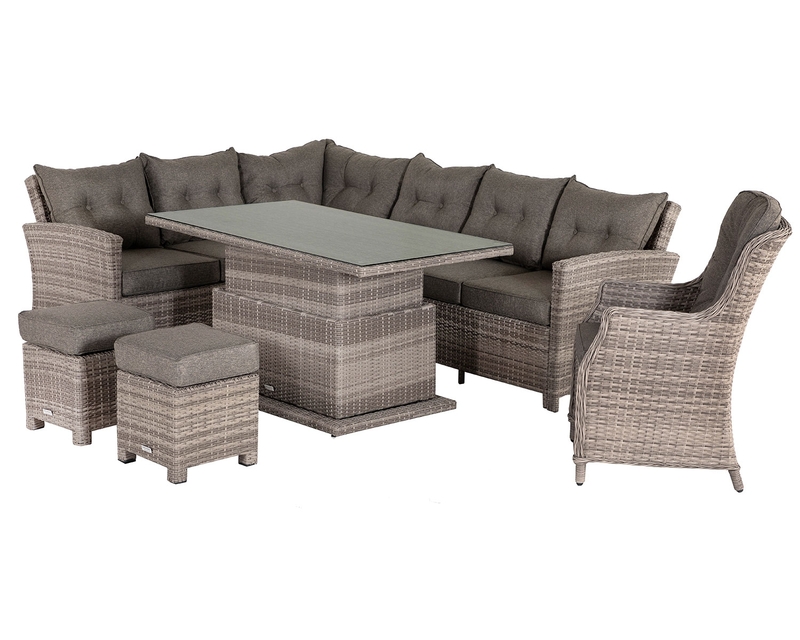 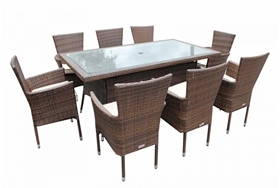 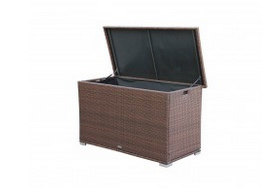 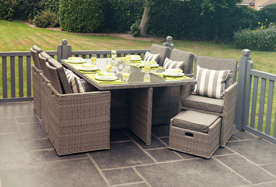 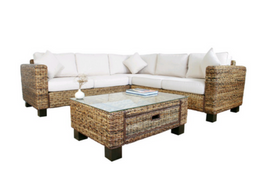 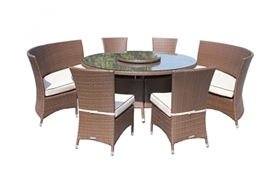 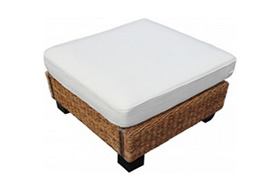 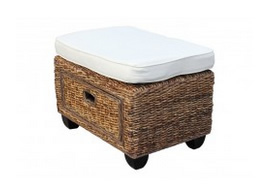 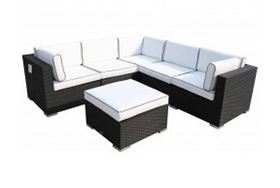 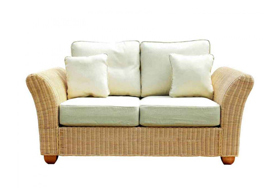 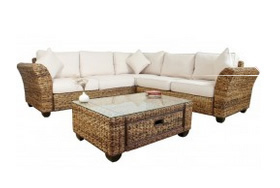 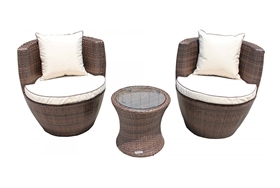 It couldn't be easier to maintain this convenient set, and the showerproof cushions can stay outdoors in all weathers. 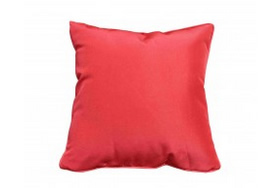 Even better, since the luxurious cushion cover fabrics are all machine washable, you can remove them and pop them in the machine for even greater convenience. 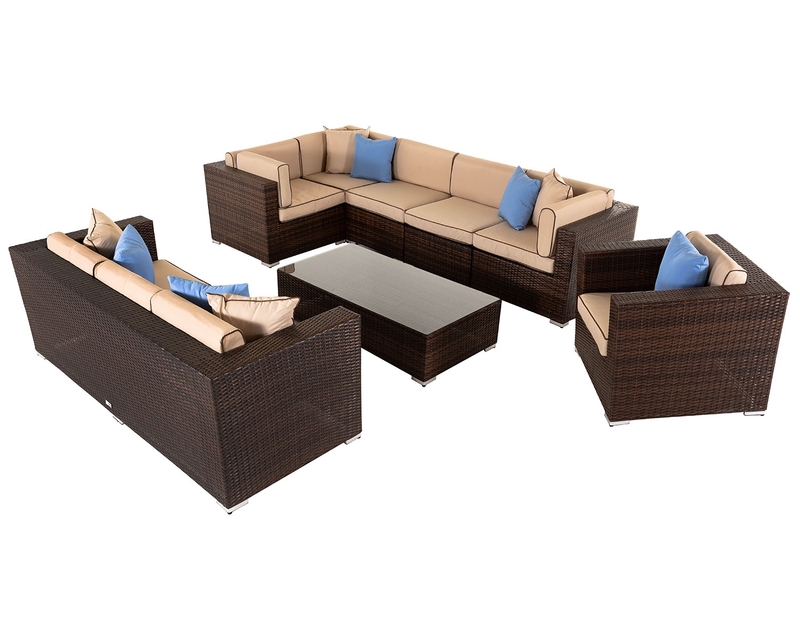 Have this set delivered direct to any UK address, and benefit from our manufacturer's 5-year structural warranty for complete peace of mind.